Once upon a time, there was a railway line from Edinburgh to Carlisle, that passed through Midlothian and the Borders, serving the towns of Galashiels and Hawick. It was called the Waverley Route, and it had bit of a troubled history. It was built in the Victorian era when intense competition between railway companies led to a lot of duplicated routes. After British Railways was created in 1948, it eventually decided that two lines from Edinburgh to Carlisle was one too many, and the Waverley Route closed to passengers in January 1969. 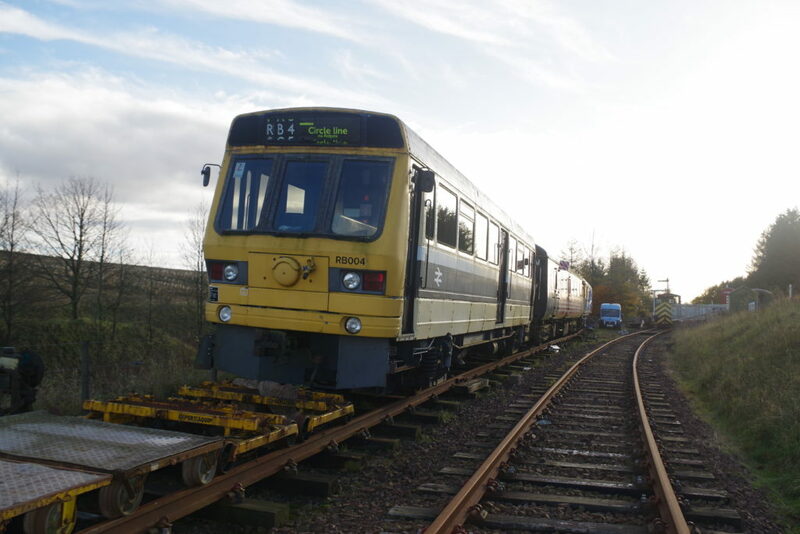 It was a hugely controversial decision, and the good people of the Borders never gave up fighting to get it reopened – in 2015, the bit from Edinburgh to Tweedbank reopened as the Borders Railway. It’s been a big success – trains run far more frequently than they ever did in the past, and lots of people use it. It’s bit of a different animal these days, though – it’s a railway for commuters and shoppers, and the days of express trains to London and heavy freights battling their way over the line’s vicious gradients are long gone. However, campaigning to get the rest reopened carries on. I suspect there’s a good chance the line will make it as far as Melrose and Hawick eventually, but the bit south of there to Carlisle was always pretty empty – and still is. There’s not much besides farmland and the wilds of the Southern Uplands out there, with very few people to pick up from the scattered villages in the area. 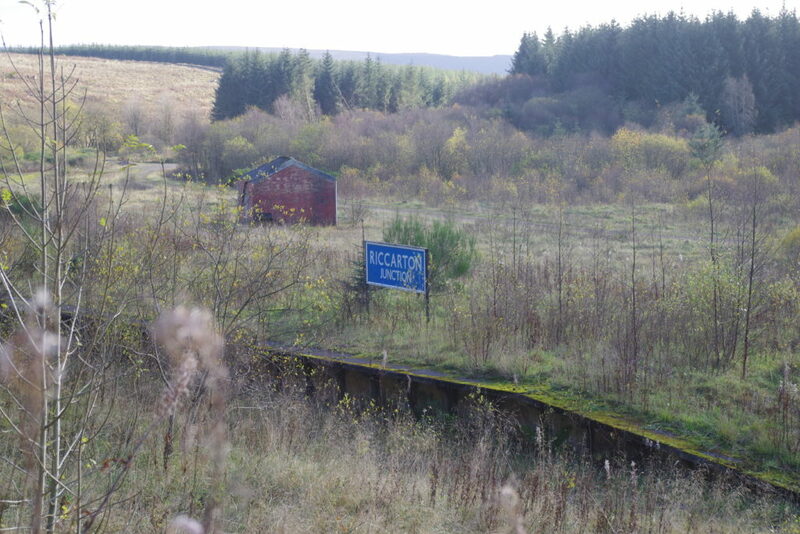 This was why the line was never a great success south of Hawick, and why it didn’t survive Beeching’s axe. Anyway…the tracks have gone, but a lot of the old infrastructure is still there, including bridges, tunnels and stations, decaying away slowly in the wild Border landscapes. Being a lover of industrial archaeology and exploring abandoned places, on Sunday I took a trip out to see some of what’s left. I parked up at the Whitrope Heritage Centre, near the sidings and tunnel that carried the line under a ridge of hills. The group running it has laid a short stretch of track, built a little station and acquired a few locos and carriages. They run occasional trains up and down, and there’s a café in an old buffet car. It was all closed and extremely deserted when I got there, but the site isn’t secured and I was free to wander about and explore – it’s in such a deserted spot that they don’t really need to worry about security. At various times you can trundle up and down in this Leyland railbus, but nothing was operating when I was there. On the right in the background you can see the little platform they’ve built. This is looking south towards Riccarton Junction. Behind me a few hundred yards away was Whitrope Tunnel, now sealed off as part of the roof has collapsed. You have to wonder if a heritage centre in such an isolated location will ever be much of a success, but they’ve been here a few years and seem happy to keep ploughing on with efforts to keep the Waverley Route alive. The idea is eventually to extend track along the two miles to Riccarton Junction. This is the route I was going to walk, to explore the remains at Riccarton. Looking back north as I set off for Riccarton. There’s quite a lot of railway relics in various states stored here. 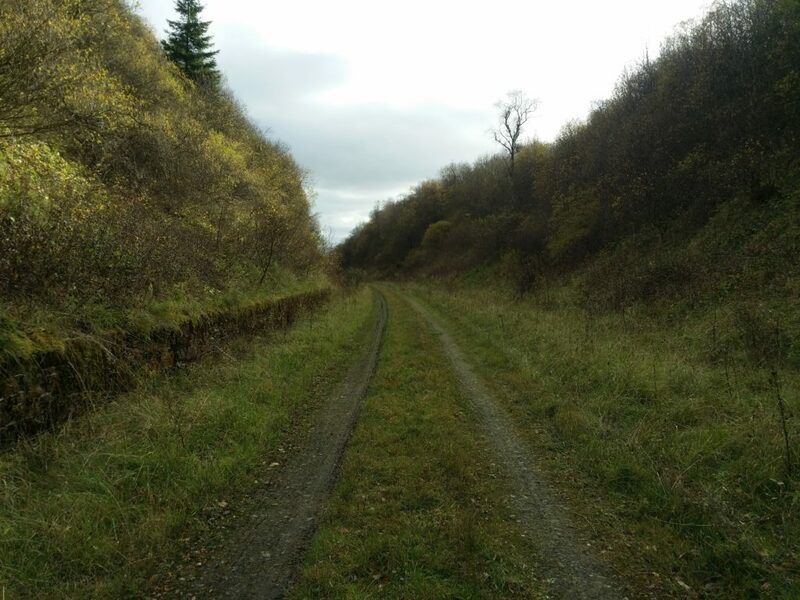 It was a pleasant walk along the old line, which went through cuttings and over embankments on its way through the undulating landscape. Imagine charging through this landscape on a train to London, via the Settle and Carlisle Line – wish I could have experienced that, but the line closed five years before I was born. And so, after a pleasant walk, I ended up at Riccarton Junction. This was always a particularly remote spot, with no road access, but a small village grew up around the station, with cottages for railway employees. Living here must have been pretty tough, especially in the winter. When the line closed in 1969, the village went with it – there was no need for anyone to remain living there, and no easy way in and out without the trains. The station was an interchange with a branch line towards Newcastle, but that line closed in the fifties. Most of the station’s buildings have gone, but there’s a few things left to see. Here’s a nice Polaroid of the sign on the platform! 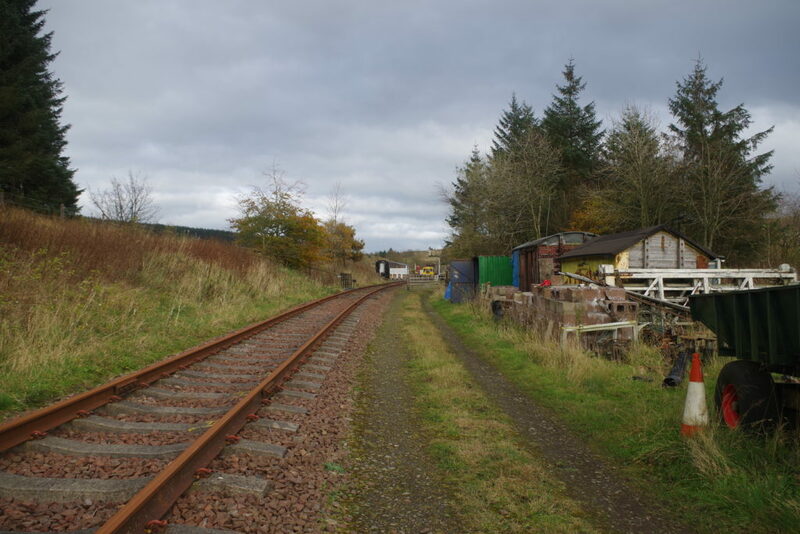 It’s not original – it was placed there about ten years ago by a group called Friends of Riccarton Junction, who had done some restoration work, clearing vegetation on the platform, laying a section of track, and restoring the last remaining building on the site, hoping to open it as a visitor centre. Unfortunately, one or two of the “larger than life” characters in the group started throwing their weight around, and eventually, amid accusations of fraud with the group’s funds, it split acrimoniously. 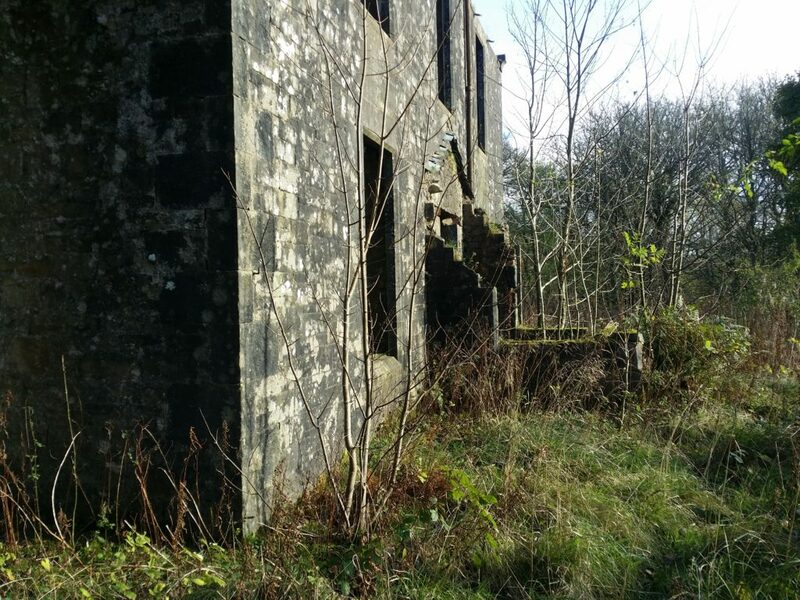 The building has returned to dereliction, the vegetation has grown back, and the track has gone. It’s actually quite hard to tell where the platform is in places. The site was fascinating to explore. Strange to think that, although this place was never busy or bustling, it sprang to life several times a day as trains arrived, and had a small but thriving community around it, in such a bleak and wild location. Could trains ever return? Who knows? 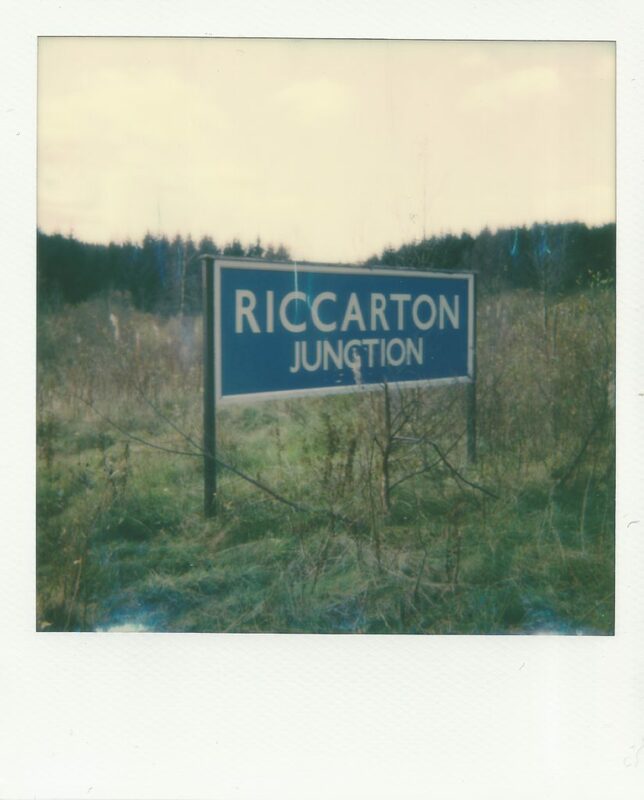 As a standalone preservation project, I think the Friends of Riccarton Junction were possibly a bit optimistic. Maybe a line from Whitrope could be a success, but you’d have to be pretty dedicated to travel out there to go on it. Not exactly much passing trade on offer. 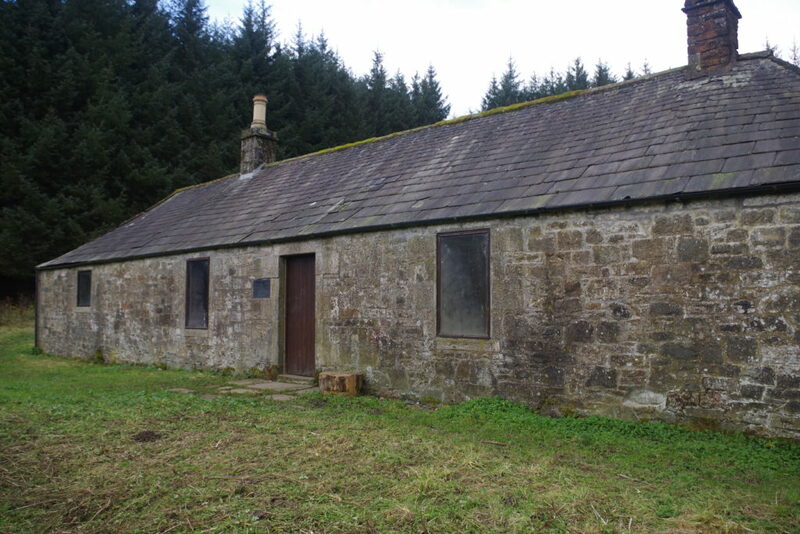 Apparently the Friends of RJ made use of a nearby bothy when they weren’t coming to blows with each other and fraudulently spending the society’s money. 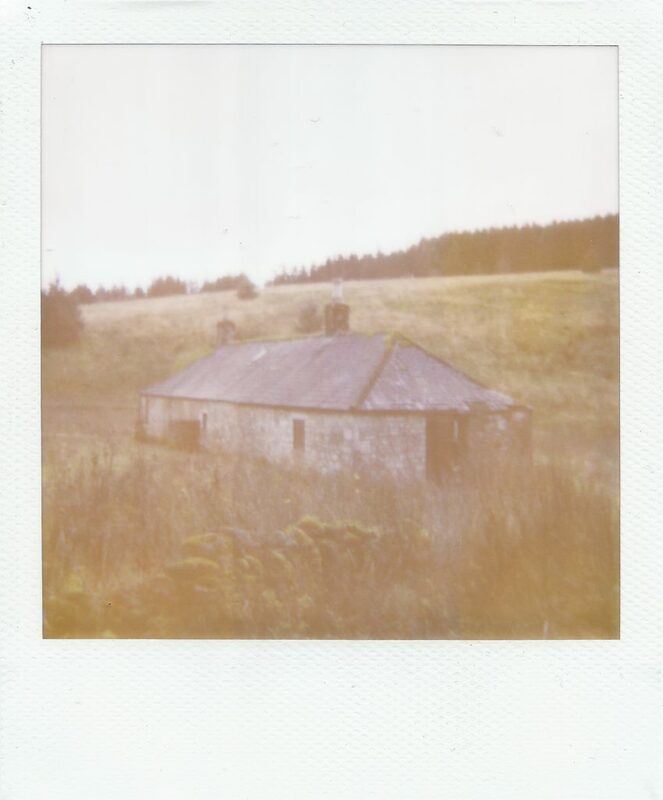 Bothies are a recent and wonderful discovery for me – they’re basic but often cosy and beautiful buildings that are permanently open and available for people to use for shelter and overnight accommodation. No reservation, no fees! There’s almost ninety of them in Scotland, and I’ve spent the night in three of them, all in remote and beautiful places. They function on trust and goodwill, and apparently the one at Riccarton Junction has had some problems. It’s seemingly suffered from neglect and antisocial behaviour, but I dropped in to have a look, and it seemed in a reasonable state. It needs a bit of attention – apparently one of the chimneys is blocked – but it’s certainly in a good enough state to contemplate an overnight stay, which is better than I was expecting. 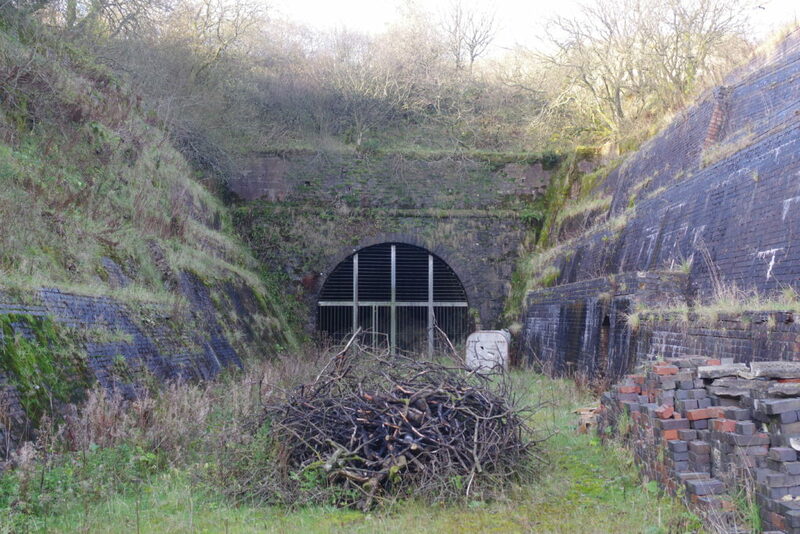 Could be a base for further abandoned railway exploration. Anyway – here’s a shot of the other side, on long-expired Polaroid film. After the nose around the bothy, it was time to head back, walking the two miles back along the track to Whitrope and my car. Fascinating day out, and further evidence to me that getting off the beaten track (haha) in the Borders is well worth the effort. You won’t find many people, but there’s a few fascinating ghosts around. ← Welcome, and an Instant Camera Shootout! Interesting. The line towards Newcastle was equally interesting altough never intended for long distance expresses. I knew the line in the 1950s when it was still in use although never travelled on it. Exploring it now would require diving gear in some locations. A village and station I visited was Plashetts where the station is now under water. I was on my way to a tiny colliery at the top of the hill to the south of Plashetts. You have to argue with the Forestry Commission if you want to visit the village now! Thanks for your comment! I’d certainly like to explore the area a bit more, it’s fascinating and there’s a lot of history there. Fascinating. I remember the Border Counties line even though I was only 9 when it closed. We used to take the train from Newcastle to Hawick for a day trip. Beautiful countryside. Visited Kielder in 2017 – must try to get to Riccarton next time I’m in UK.